Everyone knows that orchids are rude. In Medieval times, images of their suggestive parts were banned - although some clever monks squeezed in a stray bee orchid here and there. Orchids are never sexier than when they interact with insects, especially wasps. Despite offering no nectar or edible material, caterpillar-hunting wasps just love orchids. There is no other way to say this, but once they find their prey, they enter the flower backwards. The first person to discover this ‘pseudo-copulation’ was a bespectacled female scientist in the 1920s, one Edith Coleman, who observed and reported on such behaviour of these misguided wasps when she was in her late 40s. Can you imagine the shuddering gasps of the conservative scientific community? She found that the orchids use pheromones to mimic female wasps. 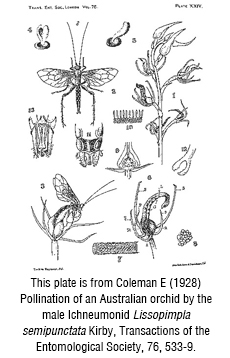 In fact, so strong is the lure, that male wasps will even reject a female wasp to mate with an orchid. During the encounter, wasps collect pollen and perform their task for the orchid, taking it to another orchid offering more, um, action. 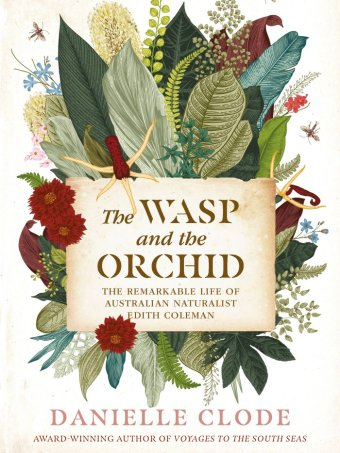 Coleman has been recognised with the Australian Natural History Medallion. And now, a zoologist and author Danielle Clode has written about the life of Edith Coleman in her book, ‘The Wasp and the Orchid’. There's a radio transcript, if you're interested. It sounds like a pulp fiction crime thriller, but hopefully it will be a better read than the rather sleazy, The Orchid Hunter. It is wonderful to see hidden figures being honoured, albeit somewhat late. Just think of Hidden Figures, Their Finest and even The Guernsey Literary and Potato Peel Pie Society. Australia has a good track record acknowledging women’s role in society. Can you remember the excitement when My Brilliant Career first came out? Good Lord. It was 1979. Well, perhaps Judy Davis might consider the role if ever they make the film. I recently saw David Haig in Pressure, a fascinating back-room drama hailing the fortitude and wisdom of the meteorologist James Stagg during Operation Overlord. If a good writer can make weather so riveting, then why not a botanical breakthrough? The Public Domain Review newsletter is a gem. 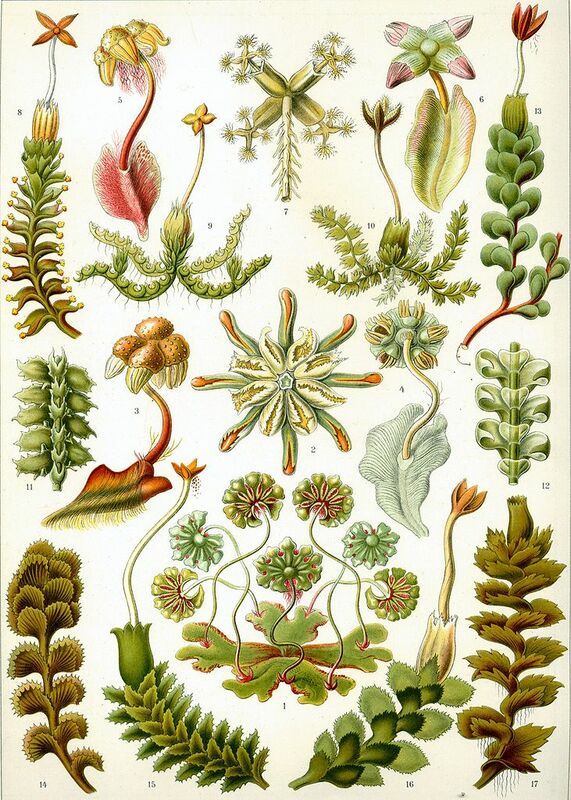 Take the latest essay: Richard Spruce and the Trials of Victorian Bryology. It’s a fascinating tale of Amazonian botanical espionage and the secret sexuality of mosses as indulged in by obsessive Victorians. 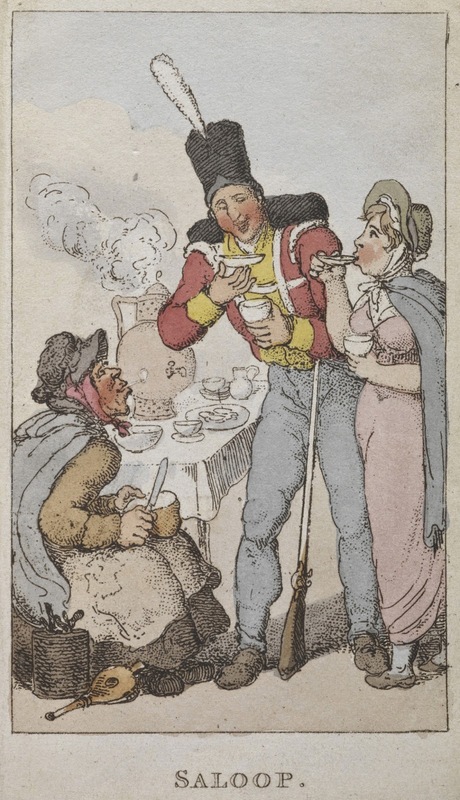 Apparently, it was associated with illicit passion, enabling romps outside the strictures of a residence. Who said moss was boring? Pictured is Plate 72 of the fabulous Kunstformen der Natur (1904), depicting a grove of mosses (referred to by Haeckel as “Muscinae”, a label now obsolete). 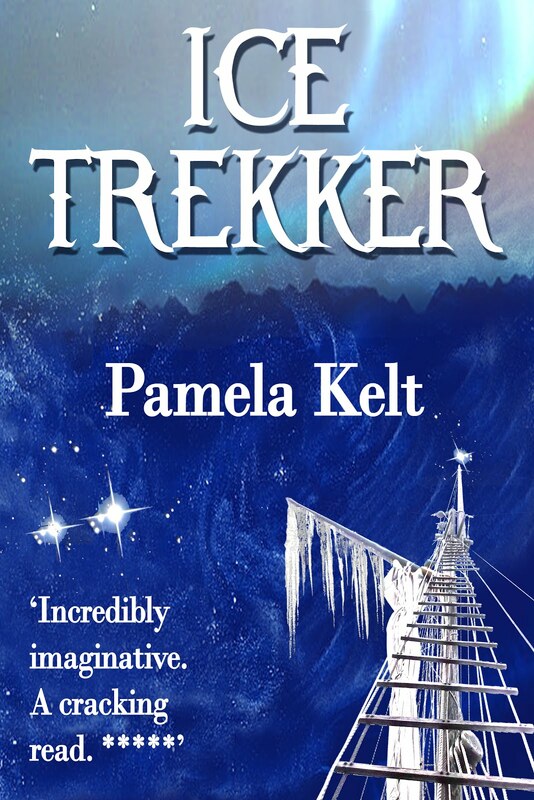 The newsletter is free and a welcome fortnightly visitor in my inbox. Colourised photo of Queen Victoria. As wedding fans ponder the design of Ms Markle's dress, will they also be thinking about the bouquet? In the Victorian age, orchids represented power, wealth, glamour, exoticism ... And Queen Victoria knew what she was about. In a history of the Veitch seed merchants, botanical writer Sue Shepard waxes lyrical about the most magnificent bouquet people had ever seen, made of literally hundreds of orchids. She notes that it was in honour of Queen Victoria's Golden Jubilee and was composed of every variety of orchid ‘produced with Her Majesty's dominions’. Sadly, Ms Shepard did not reference this, but after some digging around, I found a fascinating article in the Sydney Mail of August 14, 1897, of all places, entitled ‘A Royal Bouquet’. This was for the Diamond Jubilee, ten years later, and this bouquet outdid the 1887 with style. It was a horticultural marvel. The golden jubilee bouquet had 50,000 blooms, according to the article, but the 1897 was even larger and better quality. 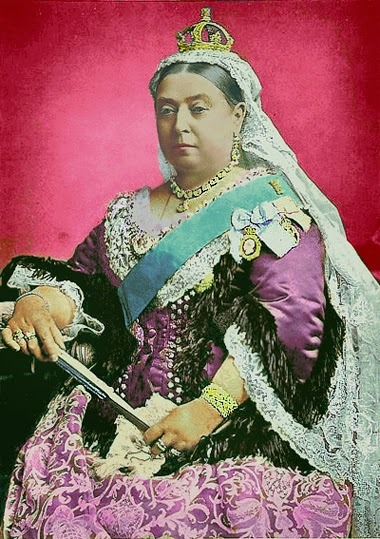 The false colorised image of Queen Victoria based on black and white photograph taken near the time of her Golden Jubilee over-painted with inaccurate hues. The dress should be black with white lace trimmings, not purple. The jewelry, which is of diamonds, has been painted gold by mistake. She is wearing the small diamond crown which is almost entirely diamonds: it contains very little gold. The orders on her left shoulder are also wrong: the most visible is the badge of the Order of Victoria and Albert, which has a white ribbon not a blue one, and should be surrounded by diamonds not gold. Oops. 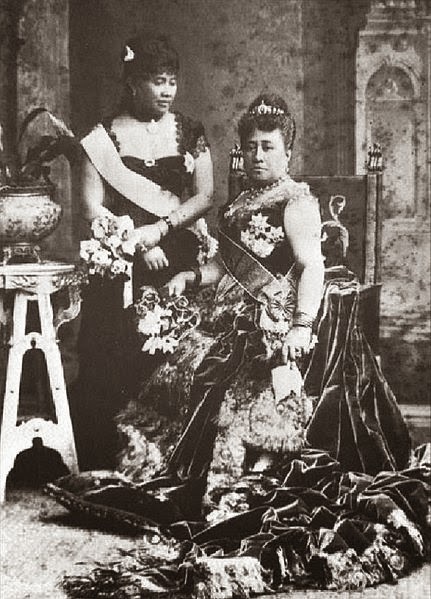 Note the orchid bouquets carried by Queen Kapiolani and Crown Princess Liliuokalani of Hawaii at Queen Victoria's Golden Jubilee, 1887. Ruby Hasegawa Lowe, Robin Yoko Racoma (1993) Liliʻuokalani, Kamehameha Schools Press. Credited to Bishop Museum. 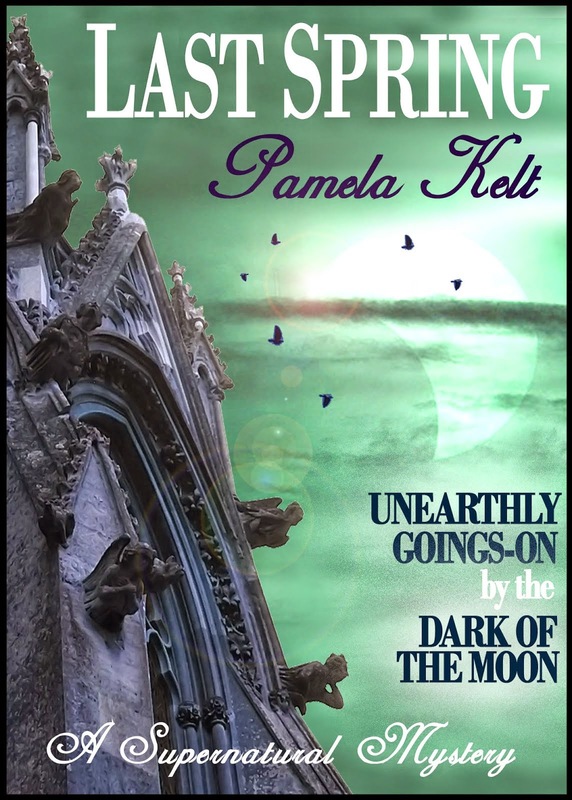 By Pamela Kelt, author of The Lost Orchid. At this time of year, I often scan the hedgerows and meadows for wild British orchids. Imagine my delight when I came across this little gem at Cragside, a National Trust gem in the North-East. After some trawling, I decided it was a northern marsh orchid, and its identity has been confirmed. Full the full story - and some eerie coincidences - check out my main blog and read about Fact, fiction and a fascinating find. If you’re a fan of wild orchids, and bee orchids in particular, check out a charming post by Marianne van Twillert about orchids in Montenegro. Did you know that ophrys is Greek for “eyebrow”? According to a legend, these flowers provided a brown dye which the Romans used to day their eyebrows and hair. 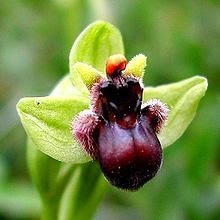 Ophrys was first mentioned in the book “Natural History” by Pliny the Elder (23-79 AD). Most ophrys orchids are found in the Mediterranean region. They are dependent on symbiotic fungi, so it is almost impossible to transplant then. The most famous one is the bee orchid (Ophrys apifera), but there are also fly orchids, spider orchids, mosquito orchids and wasp orchids. This is commonly known, but I was unaware that such orchids can be seen in the mountains and forests of central Montenegro. Marianne says she was lucky enough to find Bertoloni’s bee orchid near a small spring along the hiking trail from Lovćen to Kotor. There are also super photos of the early purple orchid (Orchis mascula), the yellow elder-flowered orchid (Dactylorhiza sambucina). 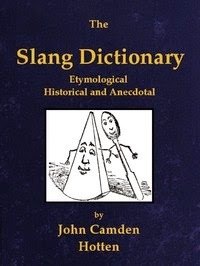 The specific Latin name “sambucina” refers to the smell of elder emanating by some plants of this species. 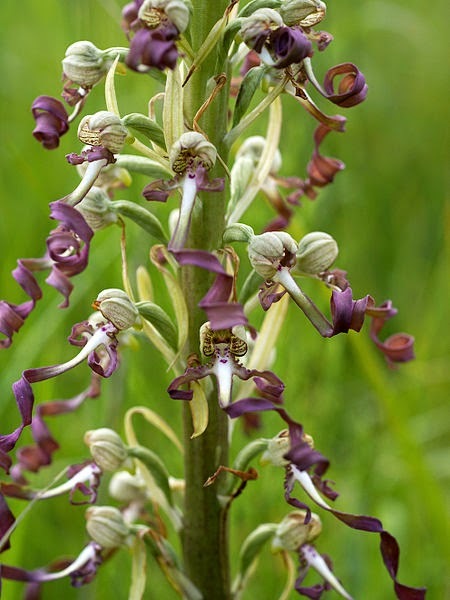 You can also read about the lizard orchid (Himantoglossum hircinum) and the monkey orchid (Orchis simia). I didn’t know they smelled like a ripe orange. Marianne suggests in her blog that someone organise wildflower or orchid tours for foreign tourists. What a brilliant idea.